Humanity is at a crossroads. One route is to carry on as before, treating our planet as something to be bought and sold as private property to the highest bidder; the other is to acknowledge that our lives depend on a delicate ecosystem and that we all have responsibilities to each other, our habitat and future generations. 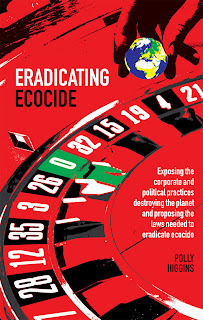 Exposing the truth behind the compromise laws and inadequate voluntary codes favoured by companies to protect their silent right to extinguish life, Higgins advocates a new crime, Ecocide, to prevent the ‘damage, destruction to or loss of ecosystems’, as a 5th Crime Against Peace. The recent Mexican Gulf oil spill is a compelling reminder of why such a law is urgently needed. Governments, businesses and financial institutions have all bought into turning a blind eye to the destruction of the planet when economic interests are at stake. Peace, Higgins argues, is unachievable whilst the rules of the game continue to protect commercial expropriation of the planet for profit – at a price we cannot afford. 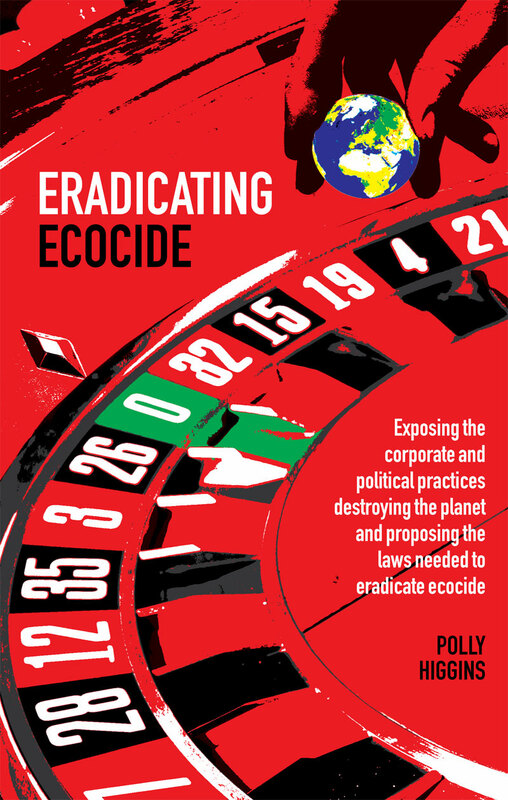 Providing a comprehensive legal overview of the past 200 years, Eradicating Ecocide explains the crime of Ecocide, how it will apply and who can stop the ecocide, for present and for future generations. This is essential reading for anyone who is engaged with current issues; it is also for leaders and policy-makers in all countries. Laws from other countries – which have been successful in curtailing the power of governments, corporations and banks – are included with analysis of the duty of care required, a duty that is owed to the public and the global earth community. The book is a crash course on what laws work, what doesn’t and what is needed. Stumbled across your blog by chance and thought it looked interesting and important!